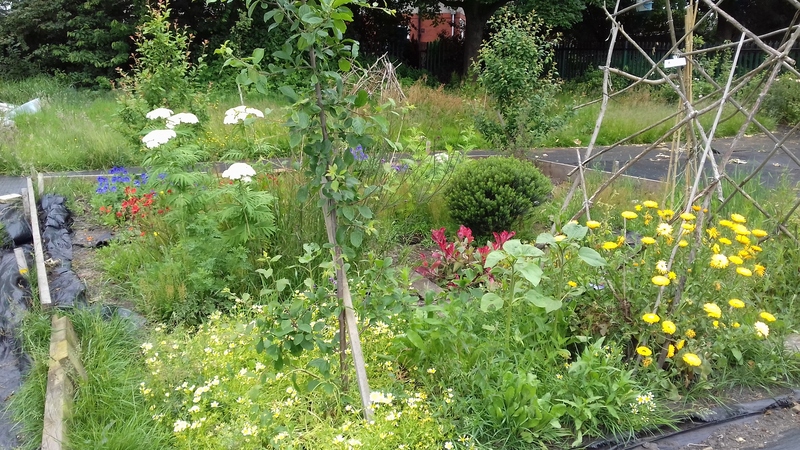 Growing Together; blooming marvellous in 2017 due to receiving a ward forum grant of £350 which has been used to purchase additional plants to increase plant and wildlife diversity on site. The bees are definitely buzzing with an abundance of food sources provided by our giant sunflowers. Lovely bright orange and yellow marigolds proliferate on the site as they are fantastic self seeders producing an amazing palette of colour, a great boost to the senses. The site is open every Monday from 11am till 2pm and they are seeking new members. No prior experience in gardening required just enthusiasm. Contact Debs Ash for more details email debs@3ways.org.uk. GROWING TOGETHER IS THE NAME FOR THE COMMUNITY GROWING PROJECT. GROWING YOUR OWN FRUIT AND VEGETABLES CAN BE GREAT FUN, YOU CAN MEET NEW PEOPLE, LEARN NEW THINGS AND MOST IMPORTANTLY IT’S REALLY GOOD FOR YOU. The project is completely free to attend and is facilitated by an experienced community Gardener Debs Ash, thanks for pilot funding from the People’s Health Trust. Debs is passionate about building communities and growing fruit and vegetables. There are supervised sessions throughout the week that you can get involved in. You don’t have to have green fingers. You may have never grown your own fruit and vegetables before. You might be completely new to gardening altogether. That doesn’t matter at all! 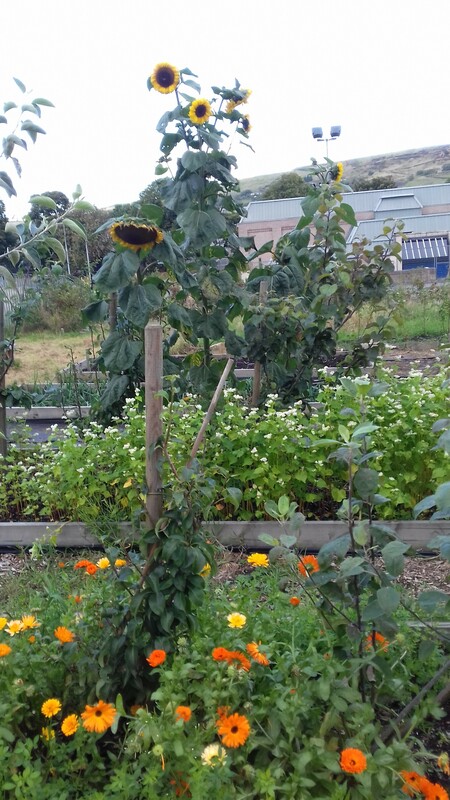 The community growing area has two polytunnels and plenty of raised beds so it’s accessible to you whatever your abilities and whatever the weather. There’s always doing something new so you won’t get bored and best of all you get to take away produce when it’s ready to be harvested. What about that? You save money. You learn new skills. You get healthier in the process! For more information about the project and how you can get involved email debs@3ways.org.uk or contact on 01422 728050.